Animated comedy featuring the voices of Owen Wilson and Paul Newman. Successful rookie racer Lightning McQueen (Wilson) has just won a three-way tie with elder rival Chick Hicks (Michael Keaton) and 'The King' (Richard Petty). 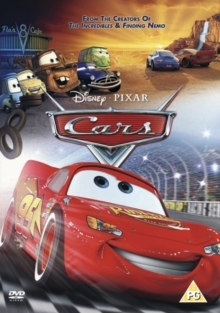 On his way to the big tie-breaking race, Lightning crashes through Radiator Springs on Route 66 and is forced to remain in town until he repairs the damage he has caused. At first, the tight-knit community doesn't accept Lightning's bad attitude but he eventually befriends redneck Mater (Larry the Cable Guy) and falls in love with Sally (Bonnie Hunt). However, he can't seem to get the gruff Doc Hudson (Newman) to change his mind about him. Soon Lightning learns the inhabitants of the town as a whole also had a different past that's painfully absent, and tries to help them enjoy it once more.